Australia Day. It’s a divisive term that evokes countless reactions among Australians. From celebrations, to protests and boycotts. Also referred to as Invasion Day…... Survival Day…... it’s a day of introspection and evaluation. How you view the events of January 26, 1788 depends very much on your cultural perspective. For many, it has spearheaded two centuries of abuse, genocide, racism and torment for Indigenous Australians. And with that comes a lot of raw emotion, especially considering that for others in Australia, this date represents the virtues of ‘freedom’ and ‘success’. “The 26th of January is a hard day for all of our mob. Aboriginal people always feel sad on Australia Day; it marks the end of freedom for our people, says Palawa man Rod Dillon who is also Amnesty International’s Indigenous Rights Advisor. "It’s a split sort of thing cos you talk about what Australia Day means but is it a day of celebrating at the expense of other people? Are we celebrating the atrocities? We need to decide as a nation what we are celebrating on this day so we can go forward?” he adds. 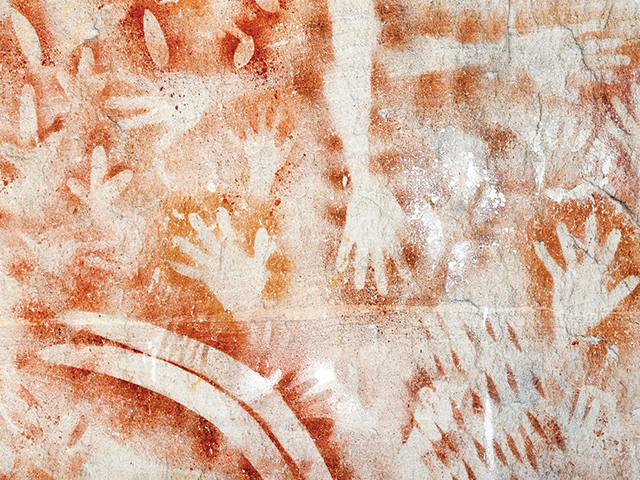 Reconciliation is still just beginning to heal the wounds of what is often referred to as Australia’s cultural shame. “This is always an emotional time of year for the community. Healing the wounds of the past and moving into a place of reconciliation and hope is something we work with the community to achieve,” says Frank Francis, former Relationships Australia NSW CEO. Relationships Australia is a not for profit organisation that offer counselling services in a number of centres and remotely throughout Australia. They also run Wattle Place-a service specifically for the forgotten Australians and Stolen Generations. “It’s important for the community to be heard, both from a historical perspective and from a place where positive outcomes are achieved through counselling both with individuals and families,” he added. For Rod Dillon, reconciliation and moving forward is also about inclusion and eventually having a national day that combines both cultures. Wiradjuri man and Walkley Award winning journalist Stan Grant has called for a truth and reconciliation commission as well as a treaty with Australia’s First People. “Every time we are lured into the light, we are mugged by the darkness of this country’s history,” Mr Grant declared at a 2016 race debate. But January 26 is not just a day that’s hard to stomach for the Indigenous Community- increasingly more non-Indigenous Australians are voicing their opposition to celebrate Australia on this day, by favouring events that recognise the plight of Indigenous Australians instead. First held at Redfern Park in 2003, Yabun, meaning ‘music to a beat’ in Gadigal continues in the tradition of Aboriginal ‘Survival Day’ gatherings. For a Community rich in culture and steeped in history, local elder and Bidjigal man Vic Simms is proud to take to the stage. Speaking from rehearsals this week he says the festival honours the survival of the world’s oldest living culture. For Amnesty’s Rod Dillon, this day may not come soon enough, but he is not without hope. Our qualified counsellors are trained and experienced in working respectfully and sensitively with diverse communities, including First Nations People. For more information call Relationships Australia NSW on 1300 364 277.